It won’t be long until the spawn plays out, the post-spawn emerges then soon after that the summer bite sets in. What we are in for is change, change, change. What we have now is stability which is a heck of a lot of fun and a single presentation can produce big numbers of bass. Of course we will enjoy this time but it is good to keep the idea that change is coming in the back of our minds. The first change will be the hardest: the post-spawn period. The bass have had a busy couple of months and are spent. Aside from that they have plenty of bass fry in close quarters they are protecting so once the urge to eat gets turned back on…let’s just say it’s hard to compete with a meal that easy. All the spawning hot spots cool off and small males are left to finish the work they started. The next change will come in the form of a post-spawn feed which can yield big numbers of big bass for up to five frantic minutes in a single day. It’s a mentally challenging period that tests the best of the best, but the potential for a great reward for your efforts is there. As the summer bite comes on some semblance of normalcy will return as bass settle into predictable patterns once again. In this case however they start becoming highly color and presentation selective. This whole process is not without its effect on us. Smallmouth tend to teach us how to fish in patterns and a pattern that worked today may not work tomorrow. 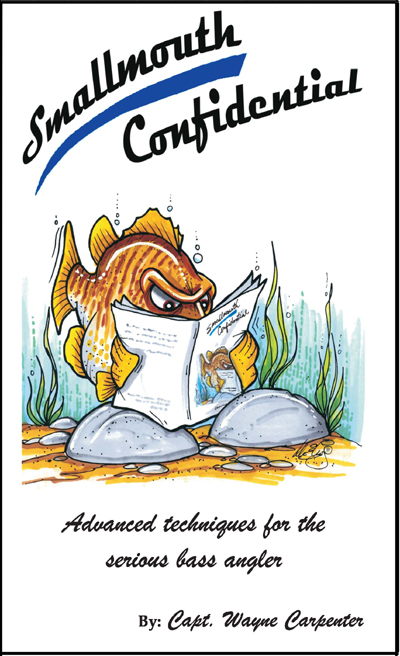 If you would like to know more about this period of change and what to do about it read the chapter about Reactive Logic in my latest book, Smallmouth Confidential. In that book I detail how we tend to hold on to these patterns even when they’ve stopped working then show how to break out of that mold and get back to exercising those finely honed fishing instincts we all have. 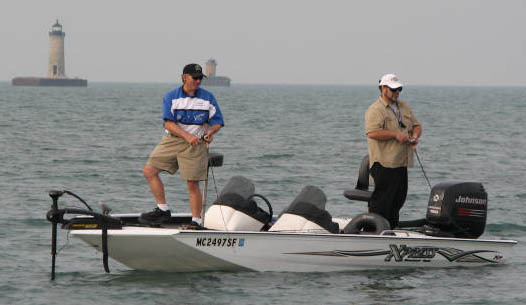 This entry was posted on May 28, 2010 at 10:07 PM and is filed under Bass Fishing Tips & Techniques, Xtreme Bass Tackle products. You can follow any responses to this entry through the RSS 2.0 feed. You can leave a response, or trackback from your own site. You’re right, these times of relative stability tend to cause us to relax and let our guard down. But as the saying goes “change is the only constant” and so you have to stay sharp and pay attention to what the fish are signaling. I have to remind myself daily on that very point…thanks Chuck!